The 2019 Honda Accord Hybrid earned a spot on the 2019 Wards 10 Best Engines list, with WardsAuto praising the two-motor hybrid powertrain for its efficiency and its responsiveness. This award-winning hybrid engine is the third generation of Honda’s two-motor hybrid powertrain. It uses a 2.0-liter DOHC iVTEC® Atkinson-cycle inline-four engine alongside an electric propulsion motor to offer a total system output of 212 horsepower and 232 lb-ft of torque. Along with its power, the Accord’s hybrid powertrain was also applauded for its affordability and quiet power delivery. The 2019 Honda Accord Hybrid currently has a starting MSRP of $25,320. ** It comes with a standard Honda Sensing® safety technology package, an Eco Assist™ system, and dual-zone automatic climate control, among other features. 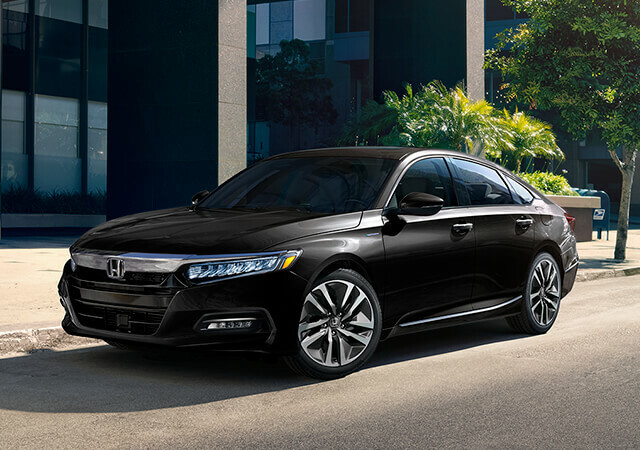 To test-drive the 2019 Honda Accord Hybrid, call or email Avery Greene Honda and we’ll put you behind the wheel.